Santa Rosa’s 10th Annual Earth Day Festival is a free, family-friendly festival that brings the community together through fun activities, live performing arts, and inspiring exhibits that raise environmental awareness. Don’t miss out on this opportunity to celebrate the Earth with great people, local food, beer and wine! This fun, FREE, family-friendly festival is a great way to inspire awareness and build community through environmental protection. Don’t miss this opportunity to enjoy great food, live performances OnStage, local and earth-friendly products, and eco-friendly crafts and activities for kids. 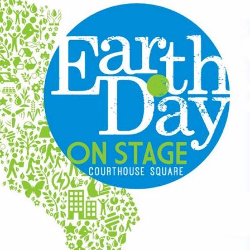 For the second year in a row, Earth Day OnStage will be a zero waste event, which means vendors and participants will be encouraged to reduce consumption and increase reuse, recycling, and composting. Don’t miss this great event! Admission to the festival is free and all are encouraged to join in the celebration.